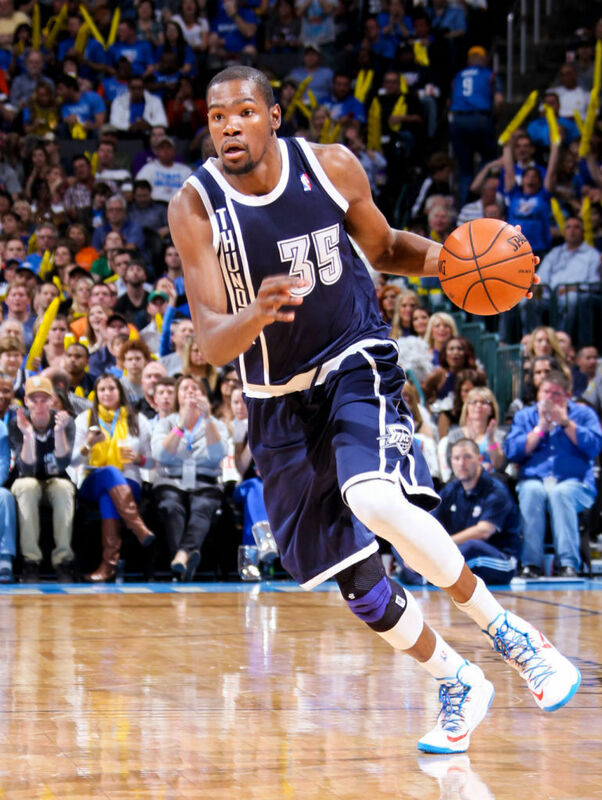 OKC debuts retro style uniforms in win over the Detroit Pistons. Last night, the Oklahoma City Thunder debuted a new alternate uniform against the Detroit Pistons at Chesapeake Energy Arena. 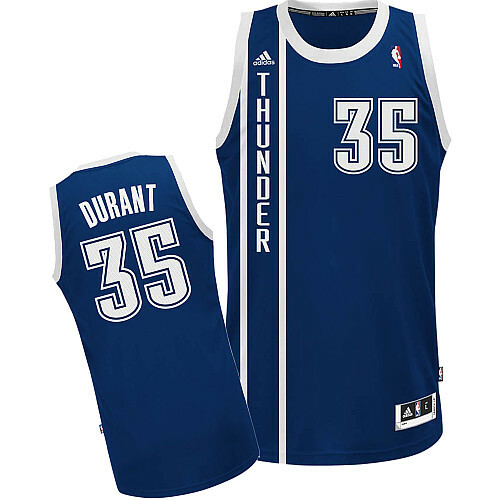 The retro style unis are navy blue features white vertical lettering that reads “Thunder” on the right side with a large number over the heart. 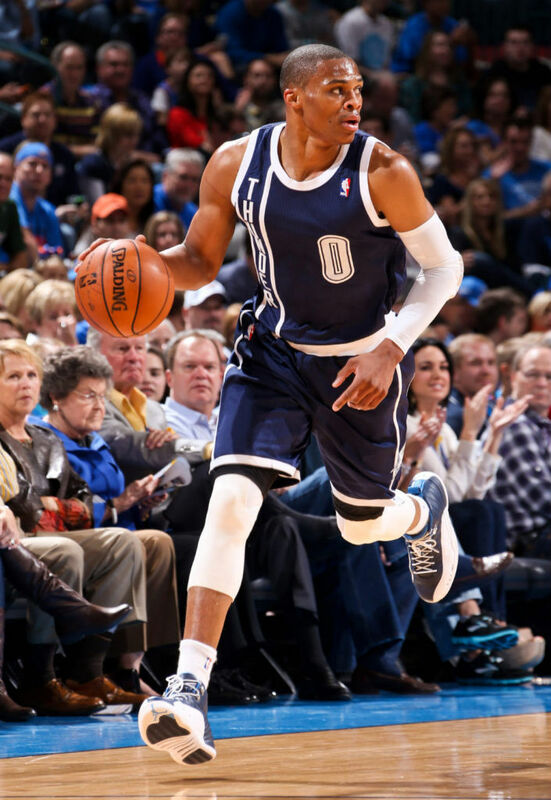 Shorts are adorned with “OKC” lettering on the side. 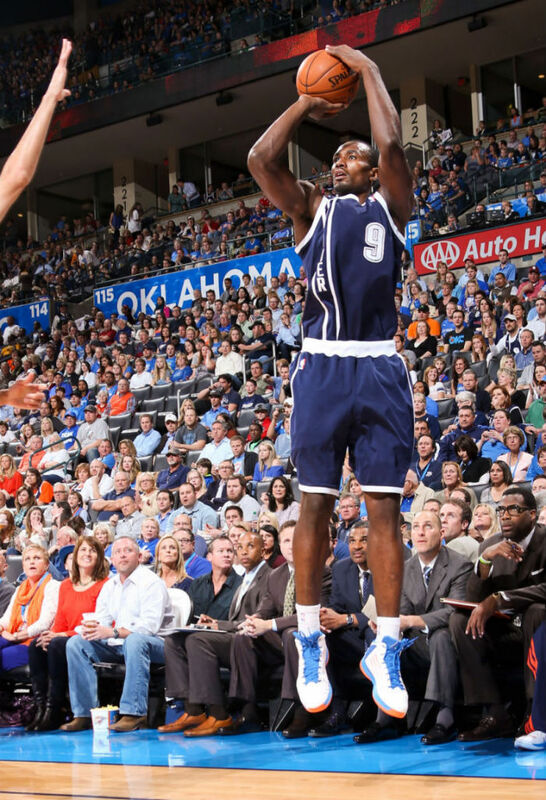 The Thunder are also scheduled to wear the navy blue alternate for the following road games this season: Brooklyn (Dec. 4); Minnesota (Dec. 20); Washington (Jan. 7); Dallas (Jan. 18); Los Angeles Lakers (Jan. 27); Utah (Feb. 12); Denver (March 1); San Antonio (March 11); Indiana (April 5); Golden State (April 11). Behind 50 combined points between Kevin Durant and Serge Ibaka, the Thunder topped the Pistons in their jersey debut game by a score of 104-95. 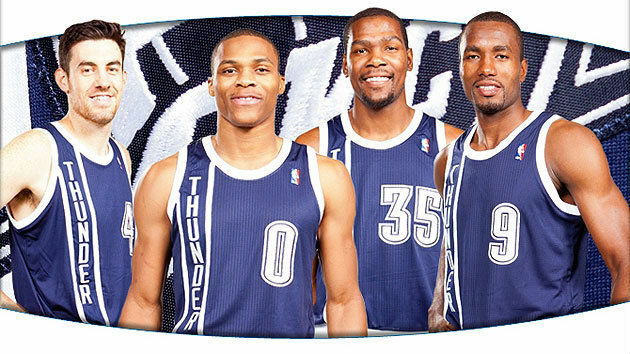 Oklahoma City's alternate jersey is available to purchase now at nba.com.